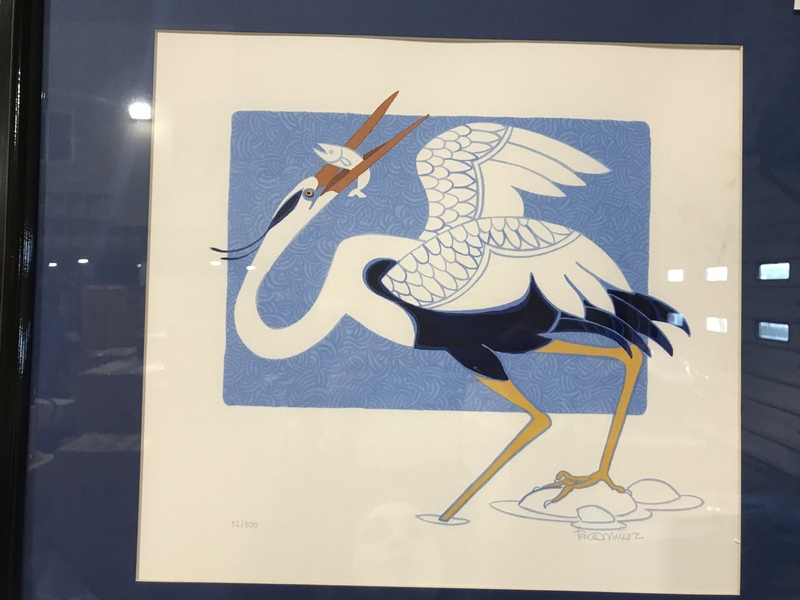 "Crane" by Rie Munoz | Reliable Transfer Corp.
Great Blue Herons are popular fishermen in S.E. Alaska. They stand motionless in shallow water and strike fast as lightning when an unsuspecting fish swims by.